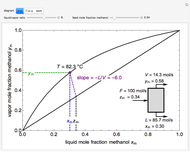 The - diagram (vapor mole fraction versus liquid mole fraction) for vapor-liquid equilibrium (VLE) is shown for a methanol/water mixture being fed to a flash drum. The corresponding - - diagram shows how the points on the - diagram are obtained; each point corresponds to a different temperature. Use buttons to view the - and - - diagrams separately or to view both simultaneously. Use the "liquid/vapor ratio" slider to select the ratio leaving the flash drum; use the other slider to select the feed composition to the flash separation. A feed with a composition is flashed (vaporized). 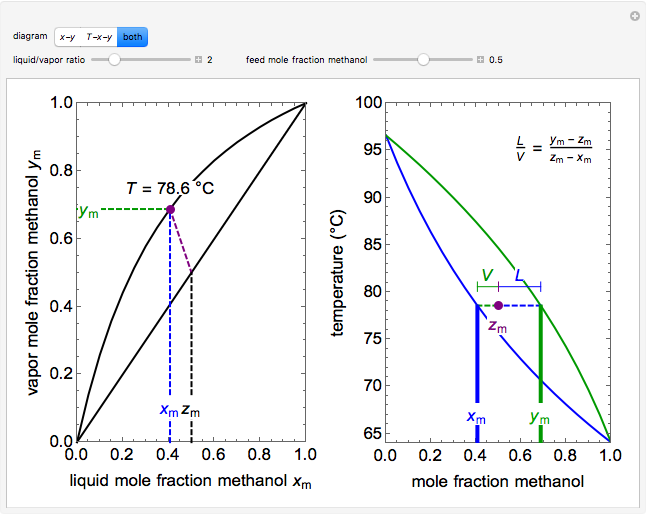 On the - diagram, the slope of the purple line is , where and are the numbers of moles of liquid and vapor leaving, respectively. 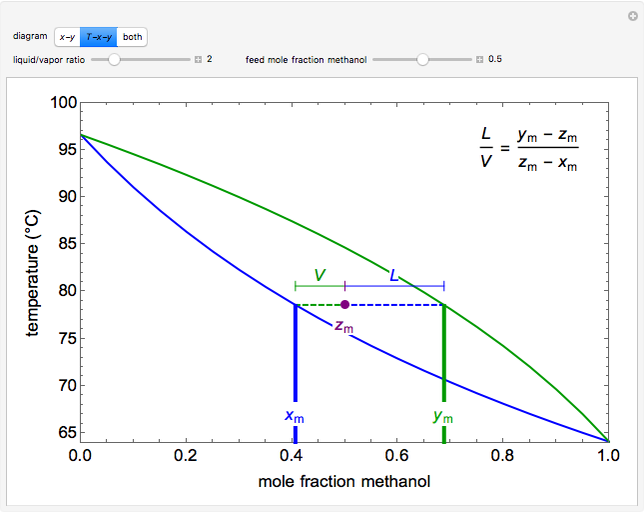 The intersection of the line with the black equilibrium curve gives the mole fractions of methanol in the exiting vapor (green) and liquid (blue) streams. 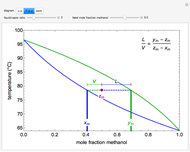 Because VLE is assumed, the mole fractions of methanol in these streams correspond to the horizontal line on the - - diagram. 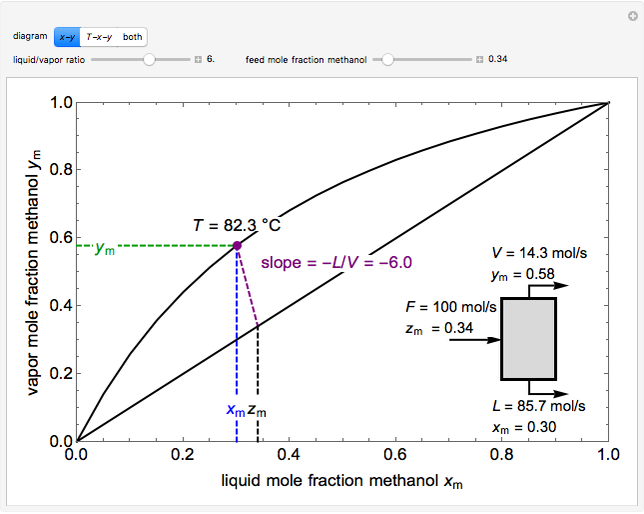 The purple dot on the - - diagram represents the feed mole fraction of methanol, and the lever rule is used to determine the liquid/vapor molar ratio. 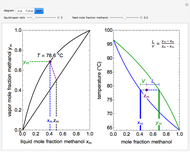 Adam J. Johnston "T-x-y and x-y Diagrams for Binary Vapor-Liquid Equilibrium (VLE) in Flash Drum"